The RW Series rocker switch offers an illuminated option with a choice of SPDT or DPDT. 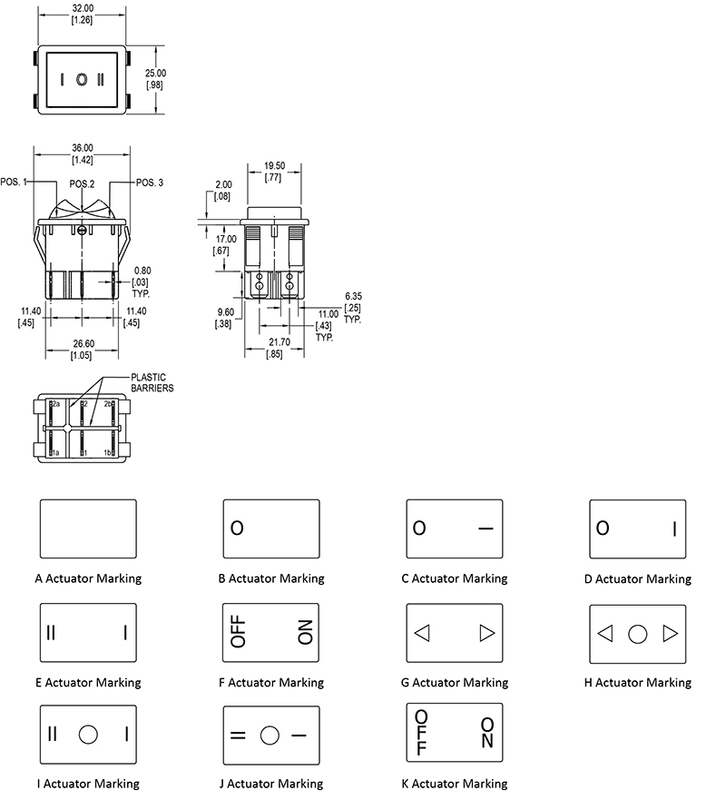 Multiple latching options are available with terminal options of quick connect/solder lug and multiple switch functions. 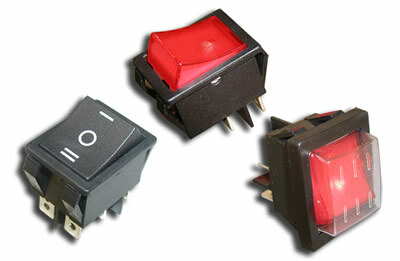 Illumination options for the lighted rocker switch are neon or tungsten lamp. The versatile RW series offers multiple housing color, actuator color, including colored transparent, actuator markings, and actuator marking color choices.